At a young age, many of us have a defining moment that alters our perspective and way of thinking. For me, this moment was the shooting at the Tree of Life Congregation in Pittsburgh. I would hardly call it an awakening; rather, a realization that lay dormant throughout my twelve years of Jewish education in Toronto. Too young to remember 9/11 and so fortunate to grow up in a community that gave me every advantage, there was nothing to contend with my exaggerated sense of security. But that’s the thing about antisemitism: in some way or another it finds a way to rear its ugly head, time and time again. In the grand context of Jewish history, the Tree of Life shooting is no anomaly. It is but one gruesome attack on Jews in a long line of gruesome attacks on Jews, paling in comparison to the inquisitions, Pogroms, Crusades, and the Holocaust. The attack still shocks us; and for good reason. Antisemitism remains an existential force in all walks of Jewish life and in all periods of history. Yet, we still ponder endlessly over antisemitism’s causes and consequences. That’s because its nature is wholly irrational—it doesn’t make sense. Antisemitism is totally conspiratorial in its premises, yet a great many fall victim to its ideas. While we know that Jews have been the subject of bigotry for millennia, what remains unidentifiable is the source of this hatred. Bari Weiss, an opinion editor for the New York Times, noted just recently that with “typical bigotry…the subject of your bigotry is subhuman. With Jews, they are both inhuman and anti-human at once.” This is precisely what makes antisemitism so compelling and horrific. One antisemite could justify their prejudice on totally different terms than another. One thing that connects many antisemites is the notion of an invisible hand–a Jewish hand–pulling strings to rule the world. Fascinatingly, the Jew can be both the communist and the capitalist; the globalist and the nationalist; the powerful and the powerless. Jews were killed at Auschwitz because they were seen as subhuman and weak, and they were killed at Tree of Life because of a supposed Jewish infestation that controls America. That’s why, for me, it is impossible to understand antisemitism. It is an apolitical, pervasive hatred that incessantly plagues the Jewish People, and I still can’t quite articulate what it means, where it comes from, or why. Jew-hatred is not something that can be eradicated. I learned last year in a course on North American Jewry about a Golden Age for Jews in this continent—stories of unprecedented success in virtually every industry that allowed us to scale new heights and solidify ourselves as fixtures in North American life. But we also learned of that from which the Jews of Europe fled: harrowing accounts of violence and discrimination not unlike those we see today in darker parts of this world. A friend recently told me about an experience in a class discussion where an ill-informed student went on about Jewish control of the media and global finance. I’m not suggesting that the student meant any harm in their comments, but the sentiment is there, laying low, hiding in plain sight. The world’s oldest hatred never seems to go away, and now it has come home. Of course, I don’t mean home as in Beth Sholom Synagogue in midtown Toronto, a congregation which my family belongs to. Rabbi Aaron Flanzraich of Beth Sholom spoke a few Saturdays ago at Shabbat services about the previous week’s events. He enumerated the details of his recent trips to Europe, throughout which he caught a glimpse of contemporary Jewish life in Rome and Vienna. He shared details of armed security guards who ask for your passport at Jewish institutions; accounts of walking through metal detectors before entering a congregation; and of significant military presence outside Jewish day schools, not unlike the one I attended just a short time ago. He spoke of a context where security presence is not a mere precaution, but a necessary deterrent to would-be attacks. It’s almost as if they’re imminent. When I think of Beth Sholom, I could never really associate the Old-World practices that my great-grandfather fled. After a bullet grazed his forehead, he came to Canada, lied to immigration officers about his age, and settled into a hard but secure life in North America. Safety, alas. But a sense of security comes at a cost: complacency. 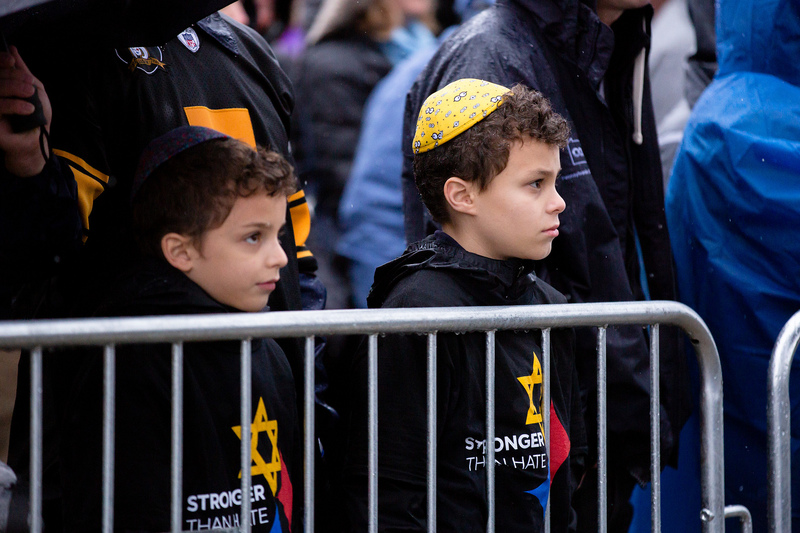 On Shabbat, Rabbi Flanzraich perfectly articulated why the scene in Pittsburgh seemed so palpable. He questioned whether congregants had a pause of thought before attending services, wondering if the same could happen at Beth Sholom. After all, if a Pennsylvanian suburb can be a target, then what exactly is everywhere else? I wasn’t in Toronto that weekend, but I attended services at Shaar Hashomayim in Westmount. I took my seat and listened to the choir, but not before I consciously noted the nearest exit, just in case. I’m sure those around me did the same. 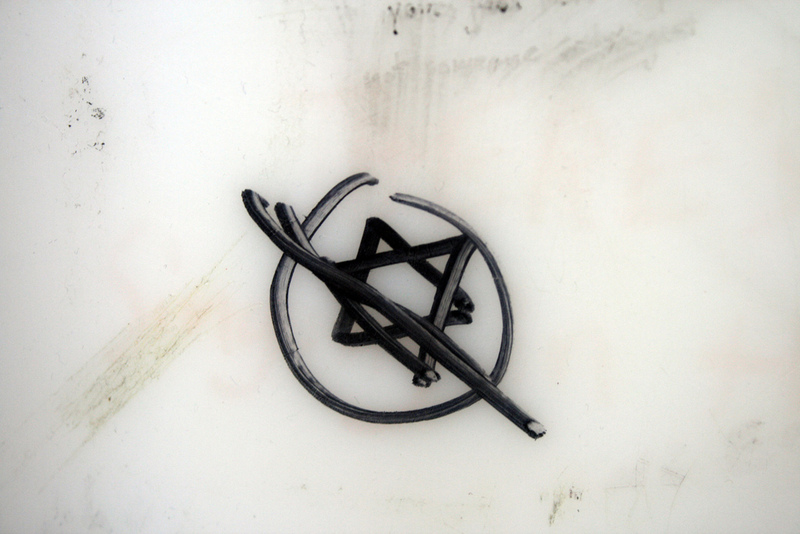 Last year in the United States there was an increase of almost 60% in anti-Semitic hate crimes. So it is only natural that, while searching for my Uber in the rain, I find a police van situated adjacent to Shaar Hashomayim. Nothing I haven’t seen before outside Beth Sholom on Rosh Hashannah (the Jewish new year), but it still caught my eye. Subtle armed security presence at Jewish places of worship has come to be seen as normal, when really it is anything but. It is simply unnecessary for churches across this country to employ these same tactics. But then again, precautionary measures can only do so much. The exodus of young European Jews to Israel and North America has been astounding, but not unpredictable. I ask myself if we’re next, and I’m unsure of the answer. I spoke with Rabbi Flanzraich just recently, discussing a variety of topics ranging from historical antisemitism to modern Zionism. 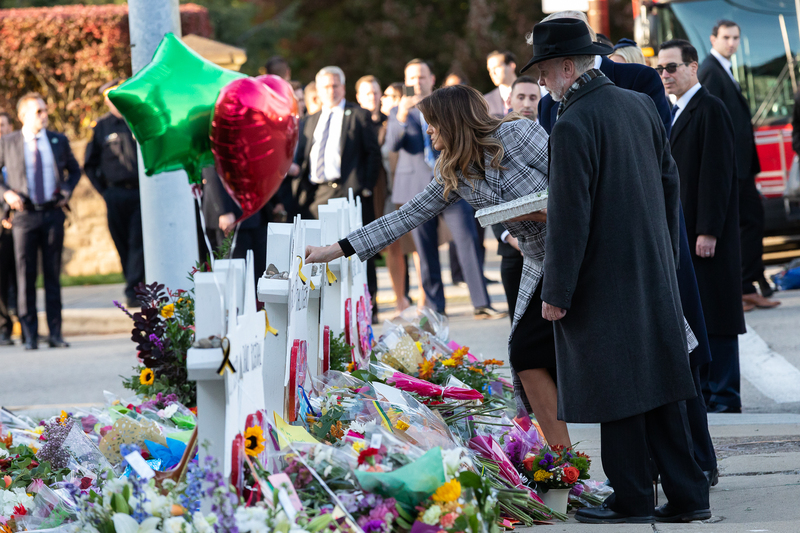 The American case resonates with Rabbi Flanzraich, a New York native, who spoke of a post-truth society with a disposition for firearm culture as fertile ground for further acts of Jew-hating violence. He labelled it “a toxic mix that perhaps presupposes future heinous attacks.” “We’re in an axial moment,” Flanzraich lamented, “and it doesn’t seem like anyone of worth is looking to change it.” The Jews of England, France, Austria and Belgium have come to terms with this reality. Rabbi Flanzraich only solidified the conviction that it is now time to recognize ours. On that fateful Shabbat morning, Jews everywhere read from the Torah about the open tent of Abraham, whose message is self-evident. For years, North American synagogues have upheld this profoundly Jewish ideal by keeping their doors open to all that wish to enter. Those days are over. Beth Sholom has had a lone, unarmed security guard for as long as I can remember, but we will now most certainly make use of the neighbouring police division, and not just on the High Holidays. It’s difficult to reconcile these storied Judaic values with the harsh realities of our day. But it is even harder to acknowledge the impending measures for what they are: capitulation; defeat. And while these new measures might be a submission to those who hate us, they do not represent a subversion of values–far from it. 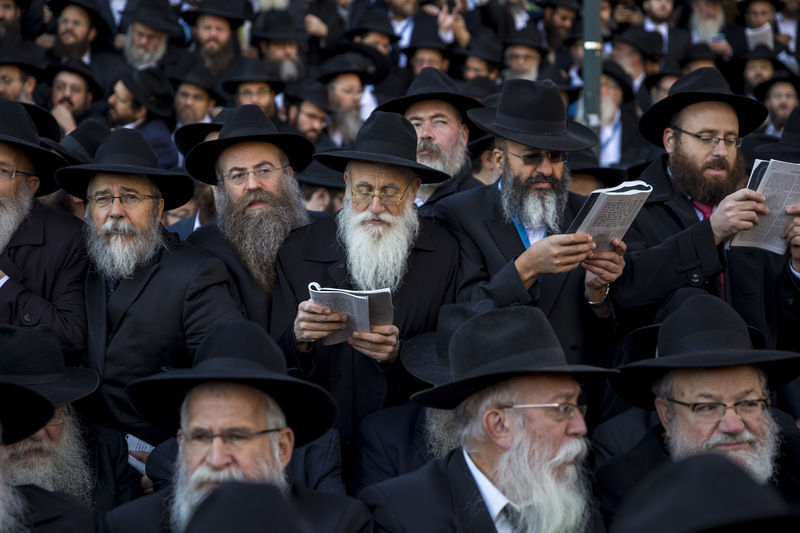 Physical protection may be a necessity for Jews, but it ranks low on the list of Jewish ideals. Herzl’s Zionism sought a homeland to keep Jews safe, but as Rabbi Flanzraich attests, our principles transcend mere protection–they stress a dynamic and meaningful Jewish existence that persists no matter where we are. So while we did lose eleven fixtures of Jewish life in Squirrel Hill, praying vulnerably in Abraham’s open tent, the attack prompts a harsh realization: we, North American Jews, have something to fear. With any luck, the attack will also serve as a unifying force that preserves and strengthens our nationhood. Presumably, it will. May their memory be a blessing, and may we meaningfully craft a way forward.